With very little happening in the golfing world over the holiday season I am devoting my last blog of 2009 to some miscellaneous facts about the Rules of Golf, some of which I am sure that you will know and some that I hope are new to you. The first recorded rules of the game of golf were created by the golfers playing at Leith Links, Edinburgh, Scotland, in 1744. There were originally 13 Rules which can be viewed here. In 1897 the Royal and Ancient were given sole control of the Rules of Golf Committee. 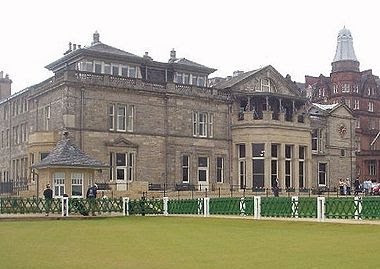 The Royal & Ancient (R&A), located in St. Andrews, Scotland, is golf ’s world rules and development body that operates with the consent of more than 136 national and international, amateur and professional organisations, from over 123 countries and on behalf of an estimated 30 million golfers in Europe, Africa, Asia-Pacific and The Americas (outside the USA and Mexico). The United States Golf Association (USGA) is the game’s governing body in the United States and Mexico, also representing an estimated 30 million golfers. The R&A and USGA have worked closely together since 1952 to produce a uniform code of rules, so that wherever in the world the game is played the same rules apply. There are now 34 Rules of Golf and over 1,200 Decisions on the Rules. There is only one issue on which the R&A and USGA have failed to agree and that relates to the maximum prize that may be awarded for a hole-in-one. See my blog on this. In 1952 the ‘stymie’ was abolished; previously players had to chip over an opponent's ball coming to rest between their ball and the hole in match play. From 1984 a ball to be dropped is no longer dropped over the player's shoulder, but at arm's length and at shoulder height. Every four years the two governing bodies agree any necessary amendments or clarifications to the Rules of Golf, whereas the Decisions on the Rules are reviewed on a two-year cycle. The next changes to the Rules of Golf will be on 1st January 2012. A new Decisions on the Rules book has just been published, with 30 new Decisions, 49 revised Decisions and one withdrawn Decision, that take effect on 1st January 2010. Both the Rules of Golf and the Decisions on the Rules of Golf can be accessed online at either; http://www.usga.org/Rule-Books/Rules-of-Golf/Rules-and-Decisions or http://www.randa.org/rules/rulessub/rulespage. Now is an excellent time to set your golfing goals for 2010, however simple or ambitious they may be. My New Year’s wishes are that you can always enjoy the wonderful game of golf, and that you will play your part in maintaining its unique integrity by playing to, and observing, the Rules at all times. Author of the easiest way to get to know the Rules, ‘999 Questions on the Rules of Golf’.